I can’t believe it’s been a year since I was railroaded, I mean gently encouraged, into being women’s captain! 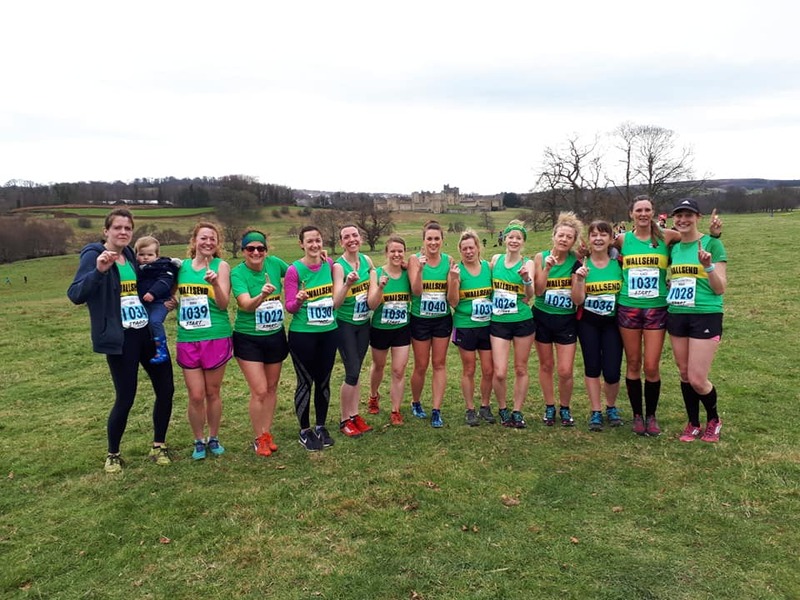 Despite my initial reservations it’s been a blast and so rewarding, made so much easier by the fact we have a simply magnificent group of ladies, all willing to don their green and gold vests come rain or shine, wind, mud and snow. My main aim for the year was to get more women out racing (matching the men for numbers as often as possible) and enjoying it. Well they did that and more! My first event as captain was the Good Friday Relays where we equalled the men for teams and came a highly respectable 15th out of 114 teams. But what topped the day was seeing our superwoman Kayleigh running for us again. Exactly a year before she was in a wheelchair so to see her defy the odds and come out in her Wallsend vest was a heart-warming sight to behold. A few weeks later and we had five teams for our very own Gordon Smith Relays. And it was here that we all got a little excited at seeing what our newest recruit Alex Hemsley could do. An accomplished triathlete, she did not disappoint. My mind was already doing cartwheels at the x-country potential of this impressive athlete. Alex went onto win the summer Club Championships, come second in the LGBT 5k as well as top 10 positions in the Anita Nott, Quayside and Sunderland 5k. On top of that she qualified for the 2019 ITU Aquathlon World Championships, coming 8th in Europe. What a find! 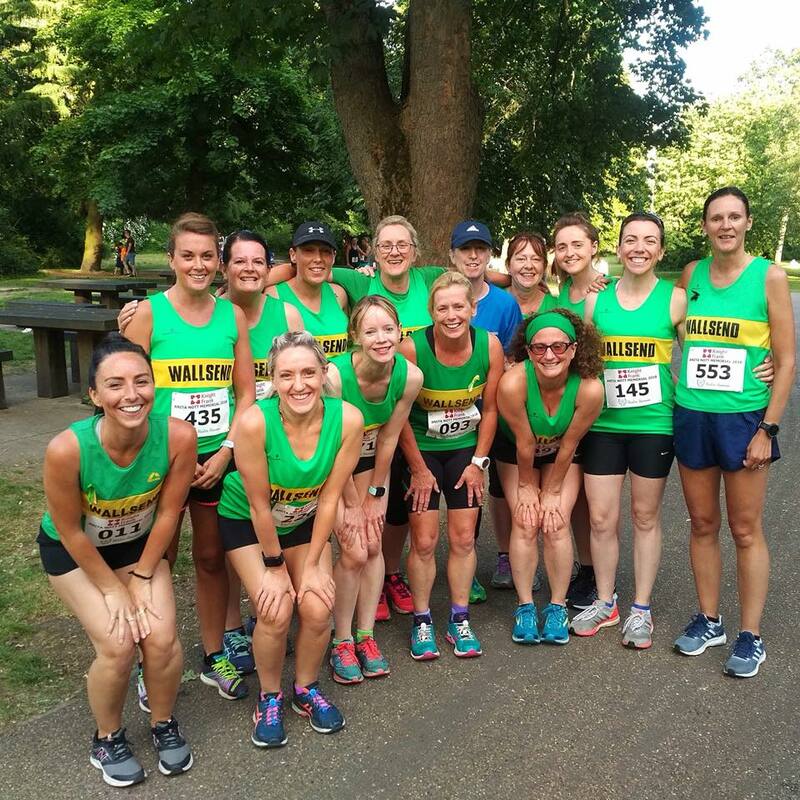 Numbers for the all ladies Anita Nott Memorial 5k at Jesmond Dene have dwindled in recent years so it was fantastic to have 14 of our lovely lot paying their respects for the former Heaton Harrier and picking up third fastest team of the evening! It’s a tough but beautiful course and there’s always a great atmosphere and camaraderie among the ladies. The track and field saw our ladies and men run, jump and throw their way to second place in division two, the first time we have stayed up in this division. It’s not everyone’s cup of tea (especially not mine!) but I was so grateful to everyone who came and did their bit for the team, from Danielle’s lightening performances around the track to Christine’s hammer pbs. It’s a great opportunity to try something new (I’m still determined to make it through to a shot put final!) and I hope we get even more ladies out this season, which is fast approaching. The summer brought more highlights and amazing displays of determination. One of our newest members, Zahra took on her first marathon – Edinburgh. 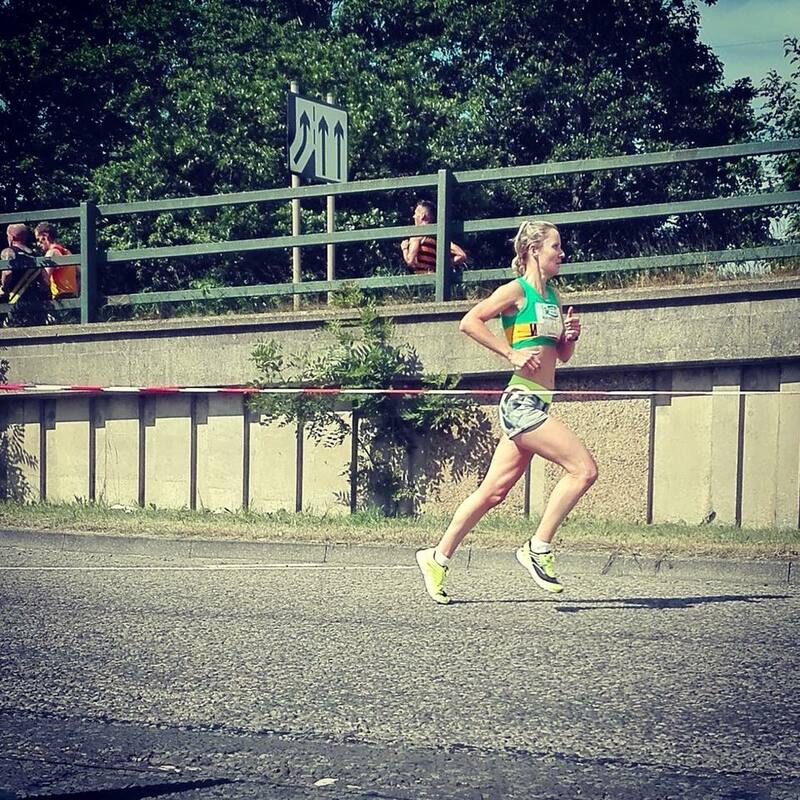 Julie Williams got her marathon PB at Bilbao, an incredible 3.43 and still managed to go sub 4 hrs at a sweltering London. And our hearts swelled with pride to see our Wallsend queen Danielle win, yes win the famous Blaydon Race! And while I’m on the subject of Danielle it would be remiss of me not to also mention the fact that she is now double northern champion over 1500 and 3000m and a northern record holder for the 3k northern indoor championships. She was also first female at the superfast Sunderland 5k ran 5k in the recent British Champs in Birmingham. I still can’t contain myself at seeing a Wallsend athlete competing up there with the best on national television. It’s such an incredible sight. This year I took part in my first full length Toby. There’s no medals or PBs to be had but it was certainly one of my personal highlights of the year and a feat the club should be so, so proud of. Everyone pushes themselves to their limit to raise money for a charity that means and has done so much for members of Wallsend Harriers – St Oswalds Hospice. I had so much fun. There were close animal encounters, tequila-filled music quizzes, the odd flash and a lot of laughs. Most of all it’s such a great way to get to know your club mates better. Alas the long summer nights must draw to a close but it’s made easier to bear with the onset of what everyone knows is my favourite – x-country season! And what a season it was! Starting September in division three did not leave us despondent. Quite the contrary. It just made us more determined. It was a glorious sight to see 12+ Wallsend women turn out for every fixture. We more than proved we are still a team to be reckoned with, storming to the top at every meet and winning the division with ease. I am so proud of everyone who came out and ran, each and everyone of you counted. To watch Danielle storm to victory from the front, then the medium and then the fast pack was immense. We had stalwarts, newbies (such as Kam, Joy and Jess and Sam eating up those hills in what looked like no effort at all) and sheer tenacity and determination from the likes of Lesley and Zahra (a self-confessed loather of xc who still came out and did her bit for the team). It really was a fantastic season and I’m confident we can more than hold our own in division two. In other xc news we put out a full women’s team in the NEMAA Open XC for us oldens, coming fifth in the V35 category. And the nationals in Leeds was the icing on the cake for me, with two full women’s teams competing against the best in the country, coupled with watching our super Sam be crowned national xc champion. Sarah Robson had a fantastic run, improving by 147 places. There are so many more achievements from the past year, such as Julie and Christine surviving a brutal Hedgehope half/15 miler, Donna competing in her first marathon in an enviable 3hr 38… I wish I could remember and read them all out. Thanks to all my wonderful women for making the past 12 months so enjoyable and for having such enthusiasm and spirit in all of our endeavours. It has honestly been a true team effort and I feel privileged to have led such a supportive, determined, band of green and gold beauties. And a big thank-you to my fellow captain Simon for his guidance, help and for collecting up my cake tins after x-country. Here’s to an even brighter 12 months! Look behind you boys!